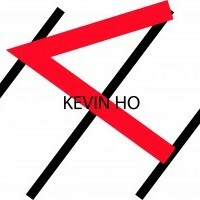 Kevin Ho graduated from the London College of Fashion, majoring in womenswear. He won in the Party & Eveningwear Category of the Hong Kong Young Designers Contest (YDC) in 2015 for his debut collection “The Crossing”. In 2016, he was invited by PARCO of Japan to take part in the Asia Fashion Collection show held during Tokyo Fashion Week and New York Fashion Week. Launched in 2015, his eponymous label KEVIN HO seeks to express sophistication, individuality and modernity through designs fused with a sense of power and delicacy, creating statement pieces that combine a structural silhouette and distinctive textiles. The unusual design and workmanship deliver a cutting edge aesthetic.